It's time for our my fifth (!!) unboxing of Scribbler, a subscription box created by writers, for writers! 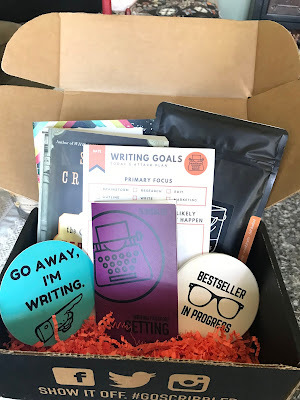 Each month the box comes with writing tips and tricks, a new book, tons of cute supplies, and also an exclusive online video call invitation with someone involved in the writing/publishing fields. And boxes are only $30 a month -- and there are tons of pre-paid packages to choose from! So definitely head over to their website if you're interested. 2. An exclusive invitation for a Skype chat with a literary agent! 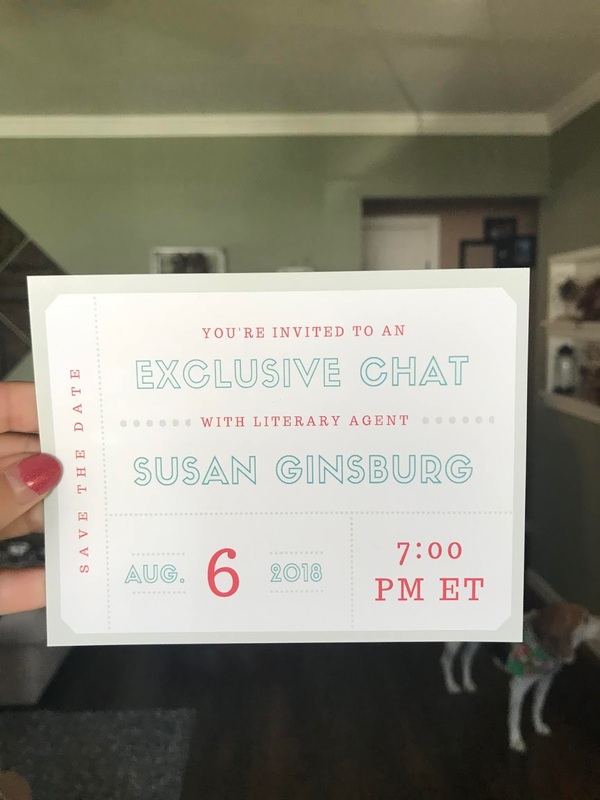 Another thing that comes with the box each month is an exclusive Skype invitation for a chat with someone involved in the publishing field -- this month, it's a literary agent, which makes me suuuuper excited!! 3. 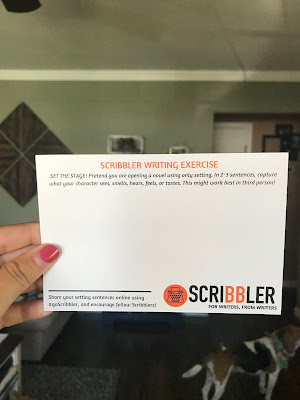 A writing exercise card! This month's practice card involved describing a character's setting from their point of view using the five senses. It really worked my brain and forced me to get creative! 4. 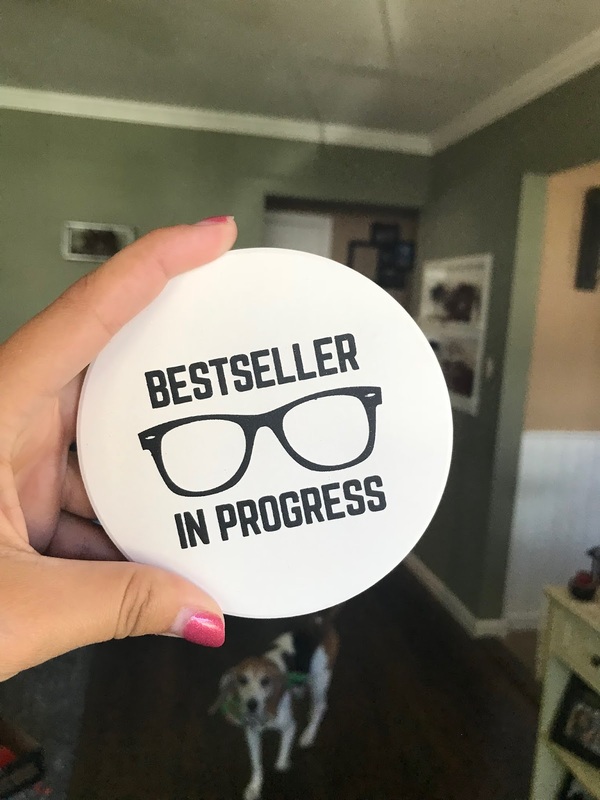 This adorable writing coaster! I can't wait for some delicious nights of hot chocolate while using this coaster and writing by the lamplight!! 5. 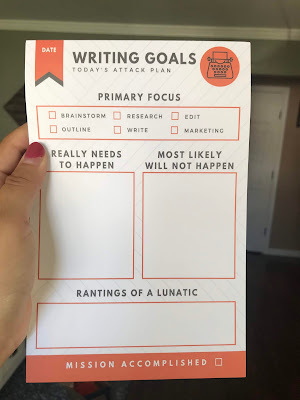 A "Writing Goals" notepad! So now I don't have any excuse for not staying on track with my daily writing -- because this custom notepad holds me accountable for everything. 6. 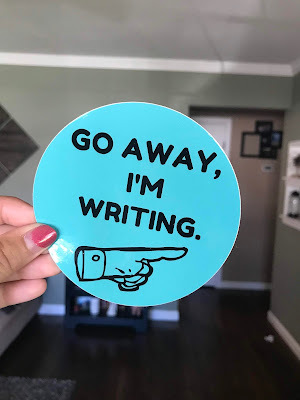 A "Go Away, I'm Writing" sticker! Which I will definitely be utilizing. 7. 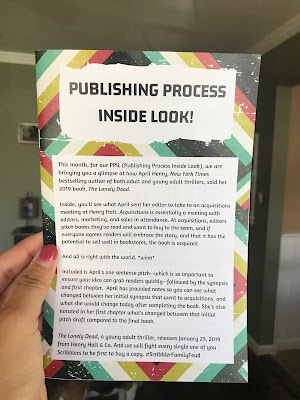 An inside look at the publishing process! 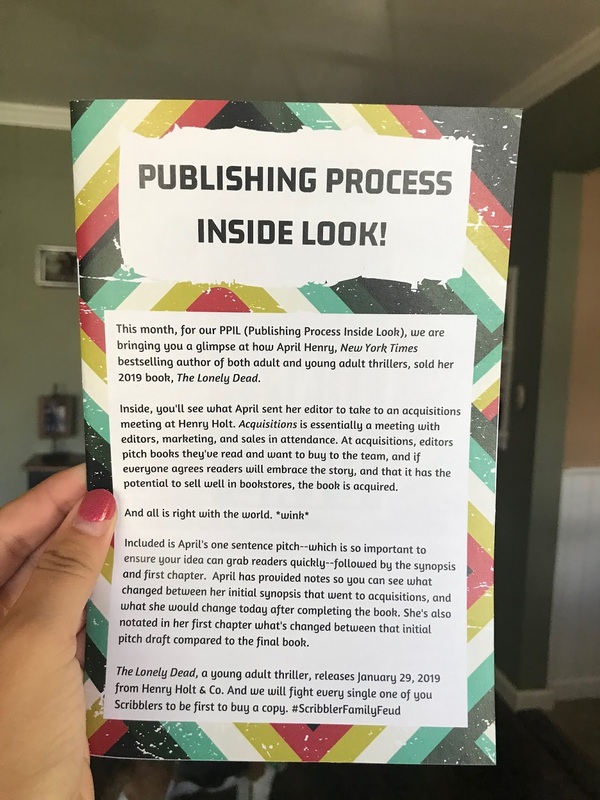 While I do have to keep the content of this packet a secret, I can confirm that it was filmed with a lot of awesome information on how to present your book to an agent or an editor through being really descriptive and interesting while still keeping it short and sweet! 8. 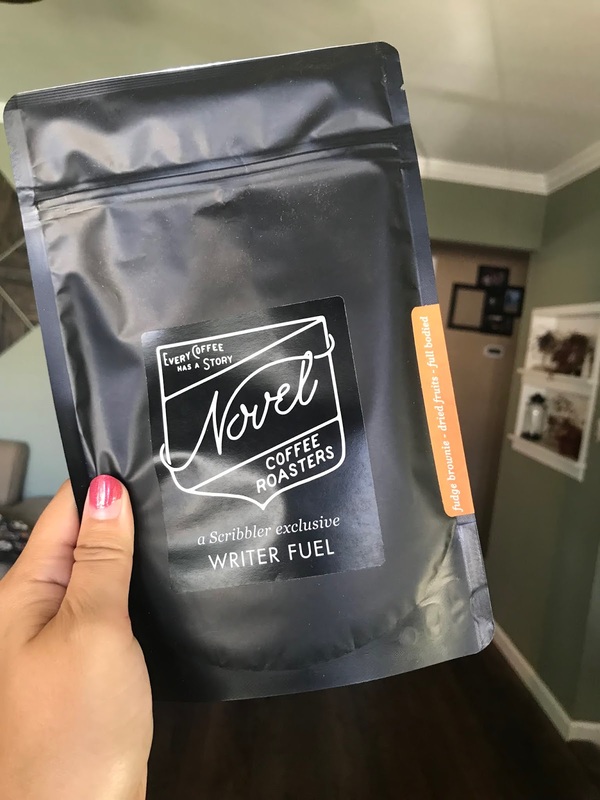 A bag of coffee! Which smells so delicious, let me tell you. It's been sitting on my desk and it's been making my whole room smell amazing and calm and cozy. Which I can't wait to start! Overall, I really enjoyed the July box -- there were tons of awesome and adorable things that I can't wait to use (especially that amazing coaster)! 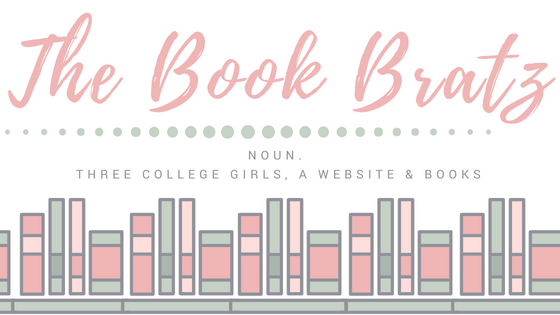 And now it's time to enjoy my July box while eagerly awaiting the August box, whose theme is Tackling Tension! 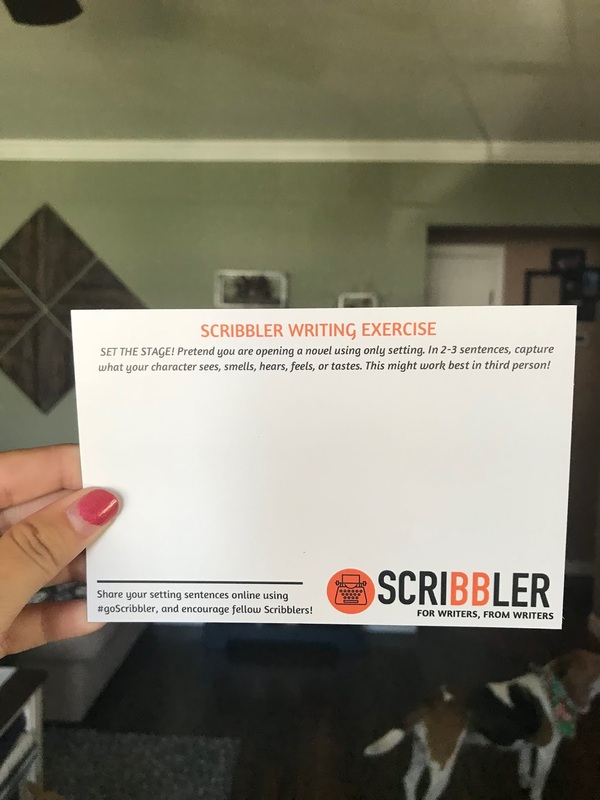 Check out our May 2018 Scribbler Unboxing: Fight Scenes! 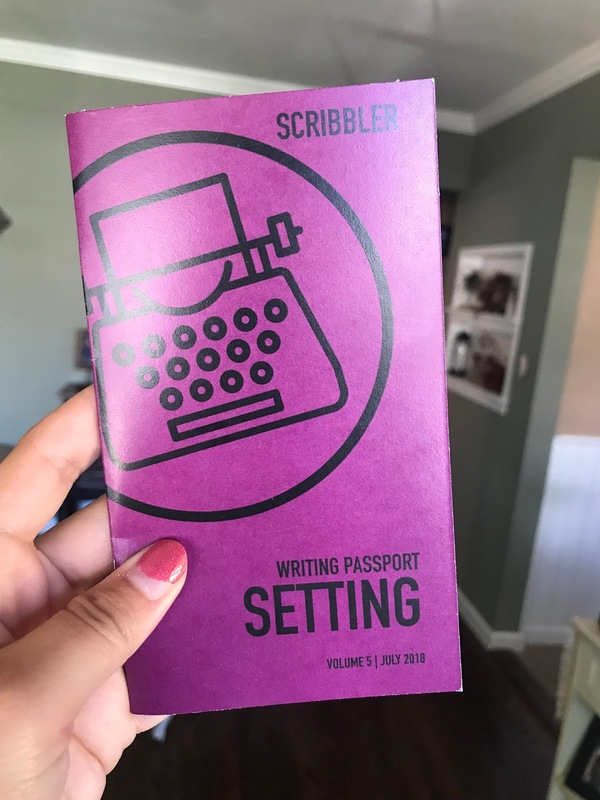 Check out our June 2018 Scribbler Unboxing: Research! This is a great unboxing post! 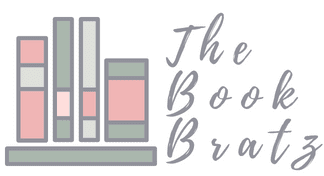 It's cool that you got an invite to chat with a literary agent! I love the notepad and the sticker - they'll both come in handy. 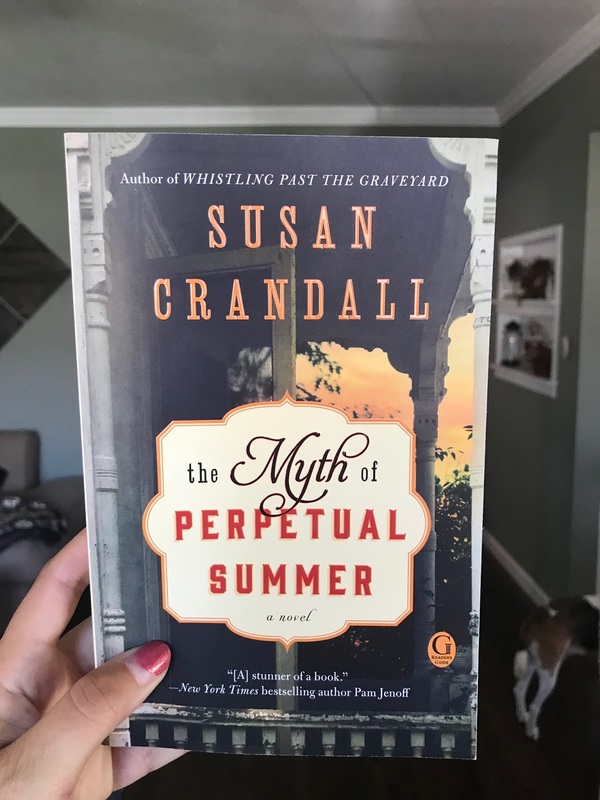 I hope you have fun reading "The Myth of Perpetual Summer!"